3. Use an appropriate screening measure eg. 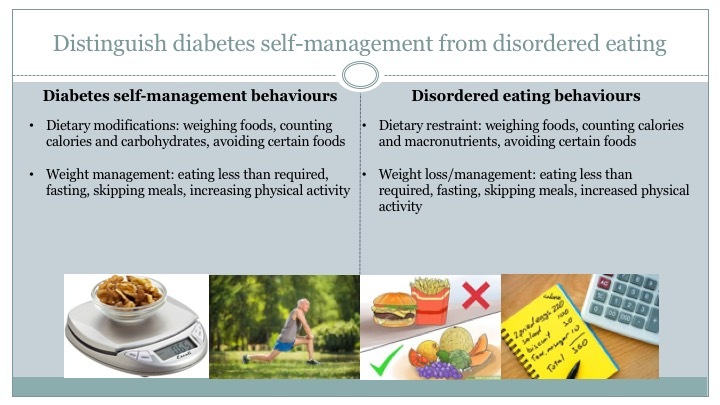 SCOFF or mSCOFF or Diabetes Eating Problem Survey (DEPS-R). If an eating disorder is identified Kylie describes an action and treatment plan. 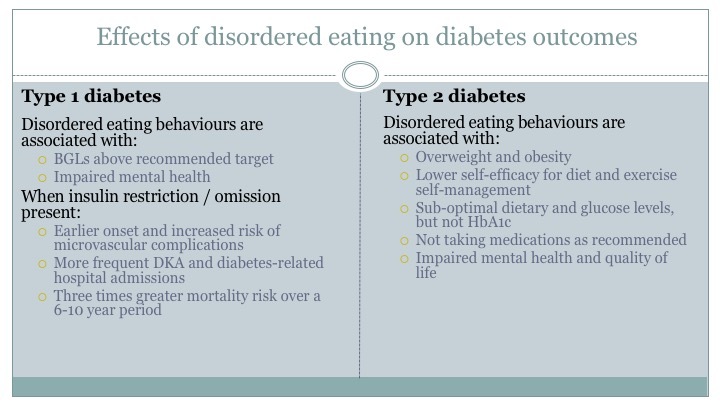 Currently there are no treatments specifically designed for people with diabetes and disordered eating. Most treatments utilise approaches designed for eating disorders. Kylie highly recommends the use of the NDSS Diabetes and emotional health handbook (she contributed to Chapter 8 Eating problems). Dr Kylie Mosley PhD (Clin Health Psych); MPsych (Health); BScPsychol (Hons); MAPS is a psychologist with over 19 years’ experience in academic, not-for-profit, and private settings in Australia, Singapore, and England. Kylie has both led and been involved in research projects that had the ultimate goal of supporting people to effectively manage and cope with chronic health conditions, such as obesity, diabetes, and eating disorders. She has a particular interest in disordered eating and eating disorders, weight concerns, and body image.